Up to 12% of the Entire Purchase is Returned to Support Alabama Programs! 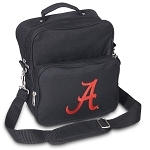 University of Alabama Grandma Tote Bag GRANDMA GIFT IDEA! Deluxe Alabama Apron Pink - MADE in the USA! Deluxe Alabama Grandma Apron - MADE in the USA! Cute Alabama Mom Apron Pink - MADE in the USA! Deluxe University of Alabama Grandma Apron Pink - MADE in the USA! Deluxe University of Alabama Mom Apron Pink - MADE in the USA! LARGE UA Alabama Dad APRON for MEN A Top ALABAMA DAD Gift! Deluxe Alabama GRANDMA Apron Pink - MADE in the USA! Deluxe Alabama MOM Apron Pink - MADE in the USA!